Bradford City Police on Friday answered disturbance calls from South Avenue and Congress Street, and responded to a report of a fight on Burnside Avenue, according to the complaint report and request sheet faxed to WESB and The HERO by the police department. Officers also received reports of trespassing on Kennedy and Summer streets, a motor vehicle accident on North Center Street, a vehicle complaint on West Washington Street and a theft from a Davis Street store. Police also looked into a report of an erratic driver on Davis Street. The Seneca Nation says it’s willing to compromise with New York State in a dispute over casino revenues. On Wednesday, Governor David Paterson said the state would shut down the nation’s three casinos unless the tribe paid $200 million in slot revenues. The Senecas have been withholding the payments because they say the state went against the gaming compact by allowing slot machines at racetracks. Under the compromise, the nation would make payments to local municipalities that receive a portion of the money the Senecas send to the state. The state hasn’t responded yet. Convicted cop killer Ralph "Bucky" Phillips is suing the sheriffs of Chautauqua and Chemung counties, claiming he was mistreated while being held in the county jails. Phillips claims sheriffs Joe Gerace and Chris Moss violated his civil rights by, among other things, not allowing him to exercise outside of his cell, have visitors or get medical attention for his back. Phillips is serving a life sentence for shooting and killing New York State Trooper Joseph Longobardo during the longest manhunt in state history. He also shot and wounded troopers Sean Brown and Donald Baker Jr.
Work is winding down on PennDOT’s Route 219/Bradford Bypass project in McKean County. PennDOT issues the following travel update. All work is weather and schedule dependent. Glenn O. Hawbaker, Inc. of State College is the contractor on this $28 million job. · Bridge painting has been re-scheduled on Bolivar Drive/State Route 346 for Saturday, October 9 and Sunday, October 10. State Route 346 westbound will be closed under Route 219. Traffic is to follow the posted detour using East Main Street to Kendall Avenue to Seaward Avenue and back to Bolivar Drive. State Route 346/Bolivar Drive westbound will be opened by 7am Monday, Oct. 11. · A new traffic pattern is expected the week of Oct. 18. Route 219 northbound traffic will be placed back on the newly constructed northbound travel lane and all ramps will be open. Kristin Davis, Independent Candidate for Governor of New York State today said that she pleased and excited by the decisions of Democratic Andrew Cuomo and Republican Carl Paladino to join her and the other candidates for Governor at the October, 18, 2010 Channel 12-Newsday debate. "It won't be hard to stand out in a crowd of middle aged white men so bring it on" said Davis. "I intend to be an advocate for women's rights, abortion rights, gay and lesbian equality and personal freedom stated Davis". "The good news is I have 11 days to figure out what to wear" said Davis. "I intend to keep my presentation positive, I think voters are turned off by these career politicians constantly attacking each other. "I do want to ask Andrew Cuomo why he failed to prosecute Eliot Spitzer for violating numerous state laws which make prostitution illegal" stated Davis. A retired state trooper from Allegany will stay out of jail for now after the State Court of Appeals granted a stay of his sentence on Thursday. This reverses last week's ruling from a Rochester appellate court that upheld the 2009 conviction of 70-year-old David O’Brien and the one- to seven-year prison sentence he was given. O’Brien was convicted of vehicular manslaughter, criminally negligent homicide and misdemeanor drunken driving for going the wrong way on Route 219 and slamming into the oncoming car of Wendy Karnes of Bradford on April 26, 2008. Karnes was pronounced dead at the scene. O’Brien’s attorney is arguing that the there were errors in O’Brien’s trial. Calling all oil aficionados. Now is your chance to hold a piece of oil history right in your hands – a book signed by one of the key players that brought this masterpiece to you. Ed Bernik, the award-winning photographer for “Pennsylvania Crude: Boomtowns and Oil Barons,” will be in Bradford for a book signing from 3 to 6 p.m. Thursday, Oct. 14, at the Main Street Mercantile. 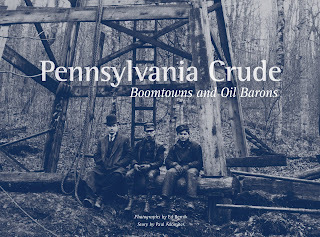 “Pennsylvania Crude: Boomtowns and Oil Barons” is a 116-page coffee table-style book that takes the reader on a pictorial tour of the oil industry in the Pennsylvania Field from discovery and boom eras through the resurgence occurring today. The book is divided into six sections: Seeps and Pits, Discovery, Boomtowns, From Mud to Market, A Second Boom and The Next Well. Several local people, stories and places are featured in this book that includes 201 photos – both current and historical. There stories of how the Tuna Valley, Tarport and Music Mountain came into existence. Autumn is a glorious season! Think about those really special times you've spent in the woods at this time of year: cool days; crisp nights; wonderful colors; enticing smells; falling leaves. No bugs! Autumn has so much to offer. Alex Masket will let his art, his mother and others do the talking at the Oct. 14 opening of his solo exhibition at St. Bonaventure University’s Regina A. Quick Center for the Arts. 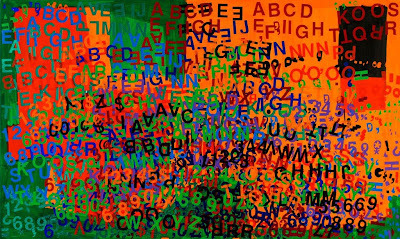 Masket, 23, is severely autistic and functionally nonverbal, which leaves others to explain the motivation and meaning behind his intricately composed and colorful works of art. The opening of the exhibition “Sticky Fingers: The Art of Alex Masket,” from 4-6 p.m. Thursday, Oct. 14, will include the showing of the award-winning film “Breaking Boundaries: The Art of Alex Masket.” The documentary chronicles the story of the artist and his creation of a deep and varied body of work despite a disability that inhibits “normal” human interaction. There will also be a presentation by Dr. Renee Garrison, associate professor of education at St. Bonaventure, as well as a talk and question and answer session with Elaine Masket, Alex’s mother. The Penn State School of Forest Resources and Cooperative Extension will hold a seminar entitled "Gas Well Drilling and Your Private Water Supply Workshop" from 3:00 to 5:00 p.m. Thursday, October 14, at the North Central Gas Expo to be held at the old Wal-Mart site next to the Tractor Supply in St. Marys. Penn State Water Resources Extension Associate Bryan Swistock and Extension Educator, Jim Clark, will discuss pre-drill water testing by gas companies and voluntary testing by landowners, how to test water quality, reading water test reports, and the use of accredited water labs. The latter part of the program will be dedicated to discussing research being conducted. Penn State and the Cooperative Extension have received funding from the Center for Rural Pennsylvania and the Pennsylvania Water Resources Research Center to study the potential impacts of Marcellus gas drilling on rural drinking water wells. 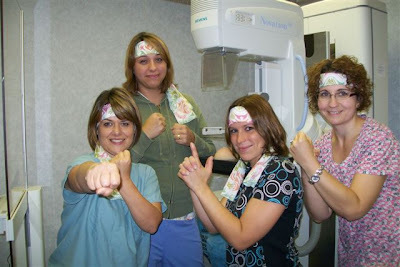 National Breast Cancer Awareness Month, NBCAM, is a great month to have an annual mammogram. With all the national media attention each October, it helps remind woman of this critical screen for breast cancer and that early detection is the best protection. There is a “1 in 8” lifetime risk for women to develop this cancer. Recently the Mammography Program at KCH was again successfully registered indicating that the program, it’s digital mammography equipment and technologists are doing everything right and meet all standards for optimal care. In addition to a top program, KCH is blessed with a Chief of Radiology – Jamil Sarfraz, M.D. – who has a special interest in breast health and is American Board Certified not only in Diagnostic Radiology, but also in Nuclear Medicine and Internal Medicine. His expertise in the early diagnosis of breast cancer is well known and sought after in the region. Harrisburg – PennDOT is seeking customer feedback about the 511PA information system and encourages motorists to visit www.511pa.com to take a five-minute online survey. Pennsylvania’s 511PA system recently celebrated its one-year anniversary and PennDOT continues to look for ways to enhance the popular service. “We are proud of the progress we have made in providing travelers with more information, and we look forward to hearing suggestions from our customers to make the system even better,” said PennDOT Secretary Allen D. Biehler, P.E. The department expects to unveil an updated version of 511PA later this year that will add 630 miles of state roads to the reporting network and a 511PA feed via Twitter. WASHINGTON, DC— U.S. Senator Bob Casey joined a group of seven senators expressing concern over a proposed shipment of radioactive material through the Great Lakes and St. Lawrence Seaway by a Canadian Company, Bruce Power Inc. Letters were sent to Cynthia L. Quarterman, Administrator for the U.S. Department of Transportation’s (DOT) Pipeline and Hazardous Material Safety Administration, Marc Leblanc, Secretary of the Canadian Nuclear Safety Commission, and Jim Prentice, Minister of the Environment for Environment Canada. The senators sent the letters in reaction to Bruce Power’s proposal to ship radioactively-contaminated nuclear steam generators through the Great Lakes and United States territory. The last Bradford Farmer’s Market of the season will be held on Saturday, October 9th from 8 a.m. to Noon. The event is coordinated by the Downtown Bradford Business District Authority, in partnership with the University of Pittsburgh at Bradford’s Center for Rural Health and is sponsored by Real Living Avista Properties. The location for the Farmer’s Market is the Old City Hall parking lot located on Boylston Street. Naturally grown fresh produce from Canticle Farms in Allegany, NY will be available at each market. Additional items for sale include fruits, vegetables, herbs, plants, fresh baked breads and baked goods, canned goods, jams, pies, sugar-free pies, honey and honey products. St. Bonaventure University’s Department of Computer Science is sponsoring its ninth annual Girls Day event beginning at 8:45 a.m. Saturday, Nov. 13. The participants will be sixth-, seventh- and eighth-grade girls from about 15 area schools. Students interested in attending should contact their guidance counselors or teachers. The deadline for schools to sign up is Oct. 22. The facilities are limited, so registration is on a first-come, first-served basis. Students will have the opportunity to learn about computer-generated animation, web page creation, movie making, photography, robots, encryption and DigiQuits. St. Bonaventure alumni, undergraduates, faculty and women in the computer science field will be presenting to assist with four hands-on workshops. Other St. Bonaventure students will act as guides and chaperones for the participants. 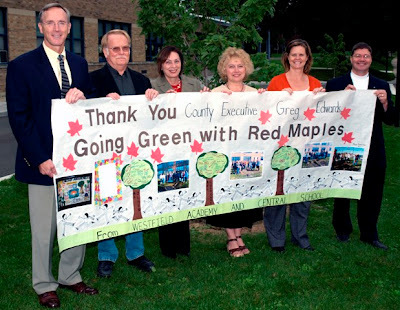 Westfield, NY -- Hundreds of people from around the region will be visiting Chautauqua Suites Meeting & Expo Center in Mayville to be a part of the 2010 Chautauqua County Energy Conference & Expo. Now in its 3rd year, the event has grown even larger, and will be held October 22nd and 23rd. Along with a new Chautauqua County Energy Conference Scholarship program, the "Energy Awareness Contest" will make its second appearance this year. The poster contest is open to all fifth grade classes in public and private schools, and home schooled students at the fifth grade level living in Chautauqua County. The theme of the poster contest is "Energy Awareness." Westfield Academy and Central School was the winner of last year's contest, and Chautauqua County Executive Gregory J. Edwards recently returned to the district. Crews from McKean County PennDOT Maintenance have completed work on Route 46 in Foster Township and the road is again open to traffic. Box culvert work closed Route 46 northwest of the village of Rew in McKean County for about two weeks. As a result of the road opening, the detour has been lifted. Harrisburg – The Pennsylvania Department of Transportation on Thursday added a new mapping feature to its website to better explain the updated Transportation Improvement Program. The state Transportation Commission in August approved the updated program, which reflected an expected 24-percent reduction in funding for improvements for highways, bridges, transit, aviation and rail freight. Bradford City Police answered a variety of calls on Thursday, according to the complaint report and request sheet faxed to WESB and The HERO by the police department. Officers were called to a fight on Burnside Avenue, a juvenile disturbance on Welch Avenue, another disturbance on South Avenue and harassment on Seaward Avenue. Police were also called to a couple of domestic disputes as well as a report of criminal mischief on Barbour Street. They also received a vehicle complaint from Summer Street and a traffic complaint from Constitution Avenue. The Kill Buck man who was arrested in Punxsutawney on Tuesday on kidnapping charges has been extradited to Cattaraugus County. Vernon Botsford is accused of kidnapping his ex-girlfriend, 29-year-old Jessica Gonzalez, from her Farmington, New York home. Before the alleged kidnapping, Botsford reportedly visited hardware stores to pick up rope, duct tape and a knife. As we reported Wednesday, Botsford is accused of kidnapping Gonzalez at knifepoint Monday night. They made their way to Punxsutawney at around 5 o’clock Tuesday morning, and went to Punxsutawney Area Hospital because Gonzalez had cut her wrist in the initial struggle and needed treatment. At the hospital, Gonzalez told the staff she had been kidnapped. Botsford was captured near Punxsutawney High School. He’s jailed on $100,000 bail. In May of 2009, Botsford was sentenced to a year in jail for chasing his girlfriend around her house with a kitchen knife. 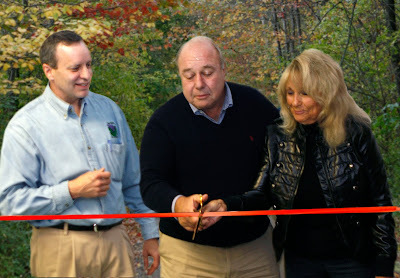 The Tuna Valley Trail Association (TVTA) has blazed a new trail. The TVTA dedicated its new trail – the Blaisdell-Emery Trail – during the first-ever recognition dinner Wednesday night at the Masonic Center on South Avenue. The evening started with a guided hike from Lewis Run to the trailhead at Owens Way. This was followed by a ribbon-cutting ceremony. The 3.8-mile trail, which runs from the Penn Brad Oil Museum to the Keystone Powdered Metal plant in Lewis Run, pays homage to two men who blazed their own trails and left an indelible mark on Bradford in their own right. TVTA president Rick Esch described how both men made in impact on the community. George G. Blaisdell, inventor of the Zippo lighter, came from humble beginnings and struggled in the early part of his life. He later created an American icon and left a legacy of charity along the way. Dresser Incorporated has agreed to be acquired by General Electric for $3 billion. The sale includes Dresser Piping Specialties in Bradford. Company officials say it’s too early to discuss staff or location changes. The sale does not affect Dresser-Rand in Olean, Wellsville and Painted Post. 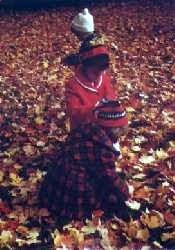 Raymond R. Rink, 94, of 1038 East Main Street Bradford passed away Wednesday, October 6th, 2010 at his residence. Born December 13, 1915, in Bradford, he was a son of the late Gustav and Carrie (Detman) Rink. On June 19, 1941, in St. Bernard Rectory he married Lois B. (Richardson) Rink who passed away June 13, 1994. Mr. Rink was a graduate of St. Bernard School. In 1933, he along with his brother Paul opened Rink Brothers Garage & Chrysler Dealership that was in operation for 70 years. In 1999, the business was honored as being one of the oldest original Chrysler dealerships in the United States. He also built, owned and operated the DeSoto Motels in Bradford and Olean for many years. Surviving are two daughters: Penny Rink and Robin Colwell, two grandchildren; Thomas Colwell and Sarah Colwell, all of Bradford and several nieces and nephews. He was preceded in death by his parents, wife, four brothers: Paul, Stanley, Frank and Tony Rink, and one nephew Tom Rink. WARREN -- Senator Joe Scarnati of the 25th Senatorial District will hold a “Kids Safety First Expo” on Saturday, October 9, in the Multi-Purpose Building at Penn State University - DuBois campus. The event will take place from 11 a.m. to 2 p.m. and features free admission, free refreshments, exhibits and entertainment. In addition to special presentations from experts in various safety fields, the Senator is adding an additional service. DNA LifePrint is a child safety program, endorsed by the well known figure, John Walsh. Developed and maintained by police officers, it is a state-of-the-art DNA information system for parents to keep. “The DNA LifePrint Child Safety Program” offers FBI-Certified Ten-Digit Biometric Fingerprints, a DNA Identification Kit, a High-Quality Color Digital Photo, and a Comprehensive Child Safety Journal. Technicians will be on hand to photograph and fingerprint the attendees. A Facebook friend posted this on The HERO's wall and it was too good not to share (even though -- Yes, I'll admit it -- I'm a Bills fan). Orchard Park, NY -- Buffalo Bills practice was cancelled today due to an unknown white substance on the field. Police and investigators were called in and after several minutes of testing they determined it to be the GOAL-LINE!!!!! But since most of the players had never seen it before, and probably won't see it again, it was determined that it poses no threat!! A Sugar Grove girl who was reported missing on August 7 has been found in the Oil City area. In a fax sent to WESB and The HERO, state police say 17-year-old Tina Michelle Allen was living on an island in the Allegheny River. Troopers in Franklin took her back home to Warren County Wednesday. New York is threatening to shut down the Seneca Nation’s casinos because the tribe is withholding payments to the state, but Seneca Nation President Barry Snyder Sr. says in a news release that the state violated the gaming compact first. The state says the Seneca Nation owes the state more than $200 million under an agreement requiring them to share slot revenues with New York. Last month, Seneca leaders voted withhold payments, saying the state violated the compact by allowing gaming in nearby racetracks. Snyder adds that the compact also says the state can not terminate the compact unless an arbitration panel determines that there has been a breach.